Sophia Sharp's "Forsaken" is a YA paranormal romance filled with love, action, and the supernatural. The story revolves around Nora Colburn, an unassuming junior in high school who leads a normal life. But when the enigmatic Hunter Gerald shows up at school, Nora's life is turned upside down, and she soon finds herself glimpsing into the world of the super natural. Unlike most books in the paranormal romance genre, "Forsaken" has a unique plot that is both imaginative and engaging. The characters in the book are well-developed and fun to follow as the plot progresses. Sharp's writing is descriptive yet concise, which makes the book a relatively quick read. 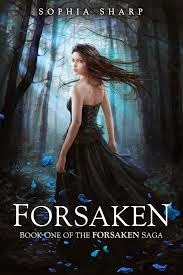 Overall, if you're a YA fan looking for a fresh paranormal romance, "Forsaken" is the perfect book for you.